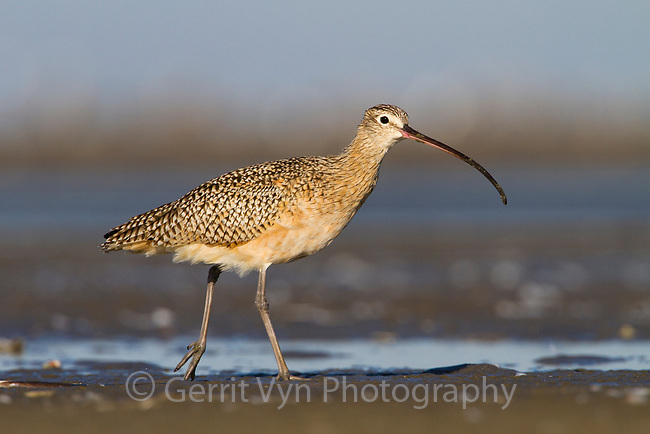 Adult Long-billed Curlew (Numenius americanus) foraging on barrier island tidal flats. Terrebonne Parish, Louisiana. October.